Paint your own perfect party picture with these adorable paint can favor tins. Ideal for any upcoming event, these cute little paint pails come with clear sides, a convenient carrying handle, and a fitted lid held firmly in place by two metal flanges. 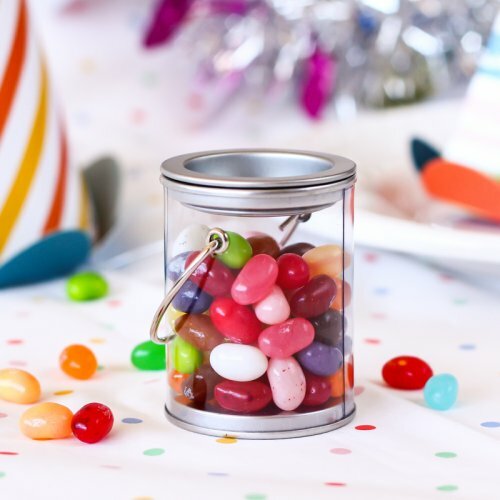 Get creative with your party favors by filling these tins with your favorite colorful candies, or use them to hold any number of crafting elements for a DIY arts and crafts party. Each paint tin favor comes empty, ready to be filled with whatever your imagination can dream up.